⚓ T136342 Windows cannot access the specified device, path, or file. You may not have the appropriate permissions to access the item. 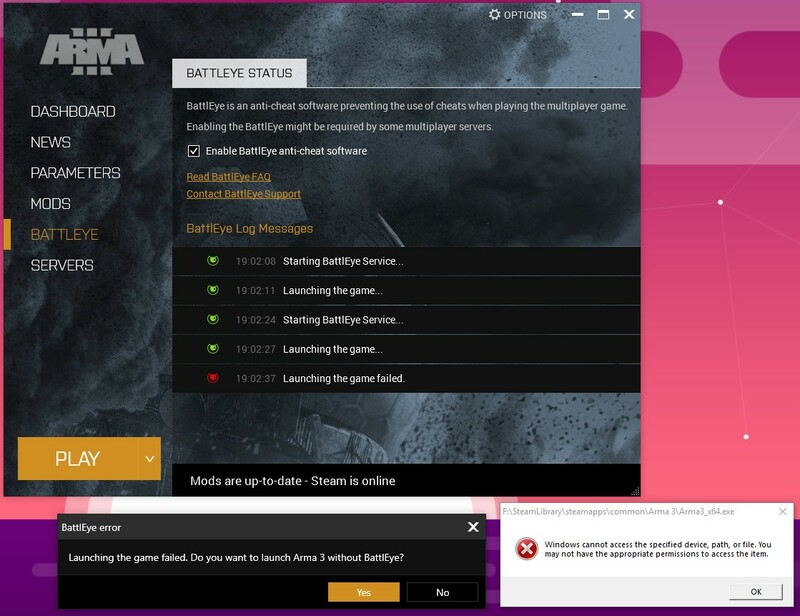 Getting the above error message when I attempt to launch the game from the Arma 3 launcher. Have tried to validate with Steam and it says everything is good. Checked permissions on the file specified within the error message and they looked good. Attaching Launcher logs if they are of any value. Not sure if this is a Battleye or Arma issue at this point. Thank you for the report. Try the possible solutions listed here and let us know if you were able to resolve the problem.